The key driver of any strategic discussion about mergers in the not-for-profit sector should be whether it improves the outcomes and impact for the clients that your organisation is there to support or serve, writes Kevin Robbie,director of Think Impact. The momentum towards mergers in the not-for-profit sector is growing. It is no longer the “elephant in the room” when boards and executive Teams are undertaking their strategic planning. Smart organisations are thinking differently about their long-term viability, sustainability and growth. There are many issues to address when an organisation is considering a merger. But the most important one is to think impact. A seismic shift is occurring in the environment the not-for-profit sector operates in and it is so dramatic that it precludes “business as usual” as a strategy. This was the stark message emerging from a recent panel session on mergers that I facilitated. Some great tips emerged from the session, which I’ll outline below. But one big questions was left hanging – what should be the key driver when an organisation is thinking about a merger? Reflecting back to 2004-07 when I was leading a social enterprise development service in Scotland, we had a ‘killer question’ for anyone coming to us looking for significant investment and support to grow their social enterprise. It was “if you ceased to exist tonight, who would miss you?” This question generally separated out those social enterprises that were clear about the impact they were having for their clients, from those that only existed to survive. Most merger discussions start from the need to improve viability or sustainability. When considering a merger, I think both parties should ask themselves this question first and foremost – what improved impact will our new evolved organisation have for our clients? Then you need to be focusing on understanding your impact! Impact-led strategic planning will help. Ultimately the key driver of any strategic discussion about mergers in the not-for-profit sector should be whether it improves the outcomes and impact for the clients that your organisation is there to support or serve. An impact-led strategy helps to focus on the right issues to be addressing to answer this question. Of course, there are many more issues to consider. Alignment of purpose – alongside improving impact then any successful merger has to be based on a strong sense of shared purpose and shared values. A successful merger will take time – examples were given where the development period from commencing internal discussion to successful merger was over two years. This needs to be factored into your strategic planning. Strength not weakness – having the strategic discussion about what can be gained from a merger is a sign of strength not weakness. Don’t wait until your organisation is weak, as there is then very limited value in the merger for another organisation. An independent “transaction manager” – in larger-scale mergers this role is often required to facilitate the process and support both the parties to manage the process. It is preferably not a legal representative but someone focused on managing and mediating through the deal process. ‘Founder syndrome’, ego and personal status on Boards – are often the biggest barriers to considering mergers as a strategy and to successful merging. These need to be managed throughout the process. Adoption – merger is not the only strategic option for organisations wanting to scale. For some organisations, adoption of your initiative by other larger organisations may be the best way to build scale and achieve impact. A focus on the end game of what you are trying to achieve is crucial. Merger isn’t the end of the line – don’t underestimate the amount of work that is required to fully integrate systems and align culture once the merger has happened. It can and does take time. Mergers are essential for the not-for-profit sector to thrive. We have to think and act differently. Impact-led strategic development will get us better at focusing on our impact and driving change within our organisations to increase that impact. “To Merge or Not to Merge” was an event hosted by William Buck in partnership with Think Impact. Thanks to the panel featuring David Crosbie (CEO, Community Council for Australia), Paul Ronalds (CEO, Save the Children), Jayne Myer Tucker (founder JMT Inc. and former CEO of Good Beginnings) and Mark Watt (CEO, Whitelion) for sharing their expertise. An audience of CEOs, CFOs, Senior Executives and Board members gathered for the discussion on the pros/cons, potential pitfalls of and lessons learned from mergers. 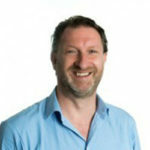 About the author: Kevin Robbie is a director at Think Impact with over 25 years experience working in the for-purpose sector. He was previously executive director at Social Ventures Australia and CEO of United Way Australia. Think Impact works with partners across business, government, philanthropy and the for-purpose sector to understand, communicate, and transform the social and environmental impact of their work.